Let a star graduate know it’s their time to shine! 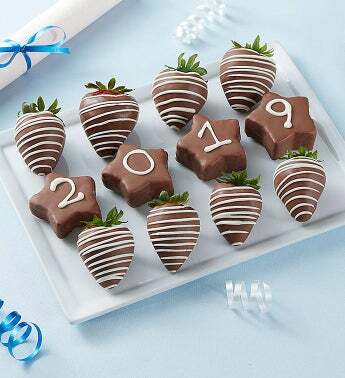 Our scrumptious strawberries and mini star-shaped pineapples are dipped in rich chocolate and hand-decorated in a white chocolaty drizzle, displaying the numbers 2-0-1-9 across the four stars. It’s a juicy, indulgent way to celebrate their very sweet success.